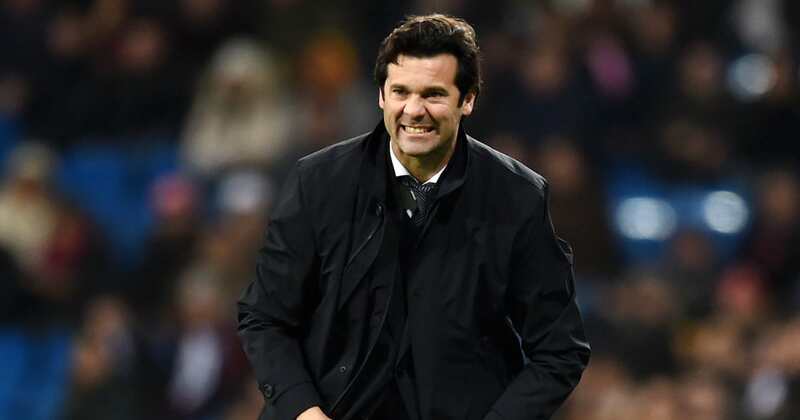 ?Real Madrid head coach Santi Solari claimed he was ‘satisfied’ after Los Blancos edged past Rayo Vallecano with a narrow 1-0 win in La Liga on Saturday, courtesy of a Karim Benzema strike on the 13th minute. The home side dominated for large parts of a generally one-sided encounter at the Bernabeu. Though Madrid failed to add any gloss to the scoreline, they created plenty of chances in the first half especially to reflect their command of the game. The performance was a clear improvement from midweek, after ?Madrid lost 0-3 at home to CKSA Moscow in the Champions League, and Solari expressed his satisfaction at a comfortable performance on Saturday. The former Madrid winger said, via the club’s ?official website: “I’m satisfied, we put in a very good first-half performance. “We dominated the ball, made the most of the space, created chances and pressed very well. We should have gone in with a bigger lead at the break. That’s football, when you’re not clinical you know you’ll have to dig in at some point. “We had chances in the second half as well, [Marco] Asensio’s for instance, and we didn’t give away any chances until right at the end. “The opposition play some good stuff too, Rayo move the ball well if you leave spaces and they’re capable of playing nice football. “The pace dropped in the second half but we didn’t give them a sniff until the final minute and Courtois did brilliantly. When you don’t kill the game off, these things will happen. Los Blancos’ next outing will be in the semi finals of the Club World Cup against Japanese side Kashima Antlers on Wednesday.